Escrito el 6th Junio 2017. For the second year in a row, TVCortos went to the Transilvania International Film Festival (TIFF) in Cluj-Napoca, Romania to host our short film competition, The Pitch. The competition gives filmmakers the opportunity to pitch their next short film idea to our expert jury panel for the chance to win 5000 Euros production funding and broadcast of the finished film on TVCortos. We invited ten filmmakers from Transilvania to pitch their ideas to us at the TIFF Industry Hub. They each had one minute to pitch their short film idea to our cameras, which our jury used along with their show reels of past work to decide which five should progress to the live final. In the final, our five finalists had another minute to pitch their idea to our expert jury panel, which comprised of Paul Lungu from TVCortos, filmmaker and previous pitch winner, Paul Muresan, and Vilnius Film Festival programmer, Edvinas Puksta. They jury were then shown their show reels and had the opportunity to ask any questions they had. In the end, they were won over by Bogdan Andrei Iliesiu and his short film idea titled ‘Santa Claus’, which is a Miracle on 34th Street inspired short film about a police interrogation of a man who may or may not be Santa. 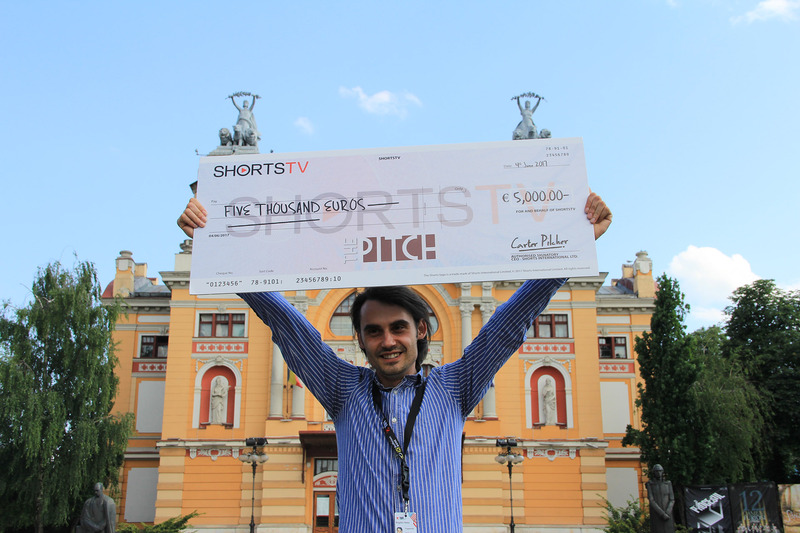 Bogdan walks away with 5000 Euros from TVCortos to bring his short film to life. The finished film will premier on TVCortos so stay tuned to see what it’s like!